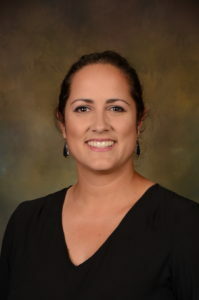 Other Responsibilities: Program Administration, Oversees all aspects of the Trojan Band Mrs. Gonzalez is currently in her fourth year as Director of Bands and eighth year at Anderson. She teaches the Wind Ensemble, is responsible for administrative duties, and oversees all aspects of the Trojan Band. A native of Kansas, Mrs. Gonzalez attended the University of Texas at Austin as a music studies major with an emphasis in performance. She is a bassoonist, and while at UT she performed in the Longhorn Band, UT Wind Ensemble, UT Symphony Orchestra, and Chamber Winds. As a bassoonist, she has performed in summer chamber music festivals throughout the Midwest, Michigan, New Hampshire and the Czech Republic as well as on a tour of Napa Valley and Europe with the University of Texas Wind Ensemble. Upon graduation, she taught for three years in Round Rock ISD at CD Fulkes Middle School. Mrs. Gonzalez continues to perform as first bassoonist of the Hill Country Winds Chamber Octet. In her spare time, she is an avid equestrian and spends every spare moment at the barn working with her horse, Savannah. Other Responsibilities: All percussion activities at Murchison MS and Anderson HS, Solo Competition, Lockers Mr. Nedley grew up in Grapevine and attended the University of North Texas, where he received his degree in Music Education with an emphasis in Percussion. During his time at UNT, he also had the privilege to teach and arrange music for the Green Brigade Drumline for 3 years. Mr. Nedley has a strong background in marching percussion and marched with the Carolina Crown (2002) and Phantom Regiment (2003-2006) Drum and Bugle Corps. After touring with Drum Corps across the country, Mr. Nedley played with the Dallas Cowboys Rhythm and Blue Drumline for 2 years and the Dallas Mavericks Drumline for 5 years. Mr. Nedley is in his seventh year of teaching at Anderson High School and is currently teaching Concert Band Gold. Mr. Nedley oversees all Percussion related activities at Anderson and its feeder, Murchison Middle School. He runs all percussion ensembles and assists with the Marching Band and other concert ensembles. 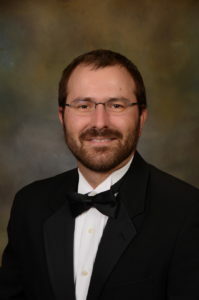 Other Responsibilities: Private Lessons Jeff Cleveland enters his fifth year of teaching and second at Anderson High School after recently completing a Master of Music and Human Learning degree at The University of Texas at Austin. While at UT, Mr. Cleveland served as a teaching assistant for the Longhorn Band and Longhorn Pep Band. He is a native Texan with teaching and performing experience across the country and Italy. Originally from Arlington, Texas, he attended Illinois State University where he earned a Bachelor of Music Education degree with a minor in Italian Studies. Mr. Cleveland is an alumnus of the Madison Scouts Drum & Bugle Corps. He played trumpet for the 2007 and 2008 seasons before aging out as drum major in 2009. He also marched with the corps in the 2014 Macy’s Thanksgiving Day Parade in New York City. Prior to moving to Austin, Mr. Cleveland was the Assistant Band Director for three years for Ingleside ISD in Ingleside, Texas. There he oversaw the junior high band program and assisted with the high school band. His professional affiliations include Texas Music Educators Association and Phi Mu Alpha Sinfonia. Mr. Cleveland is excited for another great year at Anderson High School. When he is not in the band hall, though, he enjoys trying as many restaurants as possible around town and keeping tabs on his favorite soccer team. Mr. Taylor is a recent graduate of the University of North Texas where he earned a degree in Music Education with a concentration in Saxophone. He spent his last semester of school Student Teaching at Leander High School and Running Brushy Middle School in Leander ISD. During his time at UNT, he performed with many ensembles including the Jazz Lab Bands playing Alto and Bari Sax while doubling on Flute, Clarinet, and Bass Clarinet. He also was involved in Concert Ensembles as well as the Green Brigade Marching Band. In addition to performing with Woodwinds, Scott has also performed as a percussionist in many ensembles as well. He was a member, section leader, and an instructor for the UNT Green Brigade Drumline. In 2014, he was a member of the UNT A-line that performed in Poland at the Opole Drumfest. Scott was also an active participant in many different drum corps. Including The Guardians, The Troopers, and most recently in 2016 with the Santa Clara Vanguard where they earned the Fred Sanford High Percussion Award. As a teacher, Scott has been a part of and led many successful teams. In the two competitive seasons of Roots Percussion Independent, the group was undefeated in Independent A class and in 2017, the group held the highest competitive average in all of WGI for 2 consecutive weeks. In 2017, he was a part of the staff for Homer Hanna High School when they competed in WGI earning 7th in Scholastic World Class. In 2018, Scottwas a co-director of George Ranch High School’s Indoor Drumline where they earned 1st place in TCGC Scholastic A class. When he’s not teaching or playing music, Scott likes to watch movies, take road trips, and hang out with his family. Photo coming soon! William Henry is from Frisco, Tx and has taught the Dance Guard at Anderson since 2016. William also serves as an instructor and choreographer for Round Rock H.S. since 2013. Previously, he has directed at Brookwood H.S. (Alabama) and choreographed for the Leander H.S. Marching Band, as well as teaching and consulting with groups around the area. William received his bachelors degree in both Dance and Psychology from The University of Alabama. While in college, he was a member of Alabama Repertory Dance Theater (ARDT) and studied modern, ballet, and jazz dance. William has performed as a member of The Cavaliers Drum and Bugle Corps, The Madison Scouts Drum and Bugle Corps, Paramount World Winterguard, and Cypress Independent Winterguard. Responsibilities: Percussion Private Lessons, Front Ensemble Arrangement and Instruction Daniel Wainright started playing percussion in 1997. 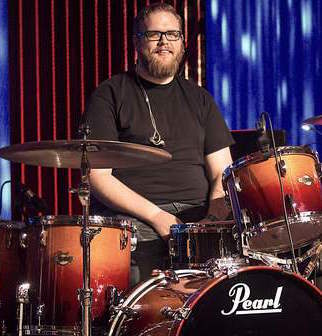 Throughout middle and high school, he shadowed Nashville musicians in his church orchestra and fell in love with all types of percussion instruments. He decided to further his education and earned a degree in Music Education from Tennessee Technological University. Through out his college years, he performed in many varieties of ensembles at Tennessee Tech. Daniel also performed with many singer/songwriters, country artists and worship leaders outside of school. After graduation, Daniel moved to Austin, Texas to further his career and has lived there since. 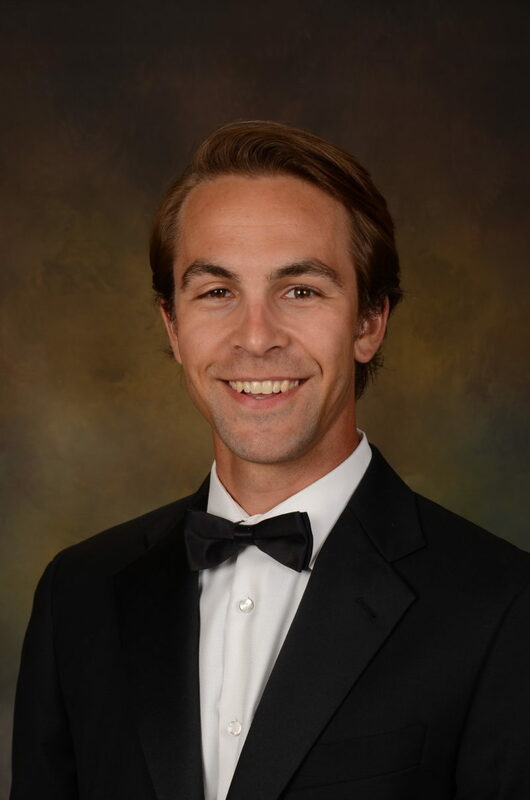 At Anderson, Daniel teaches private lessons with the majority of the percussion studio and arranges the front ensemble portion of the marching show with Mr. Nedley. Daniel proudly endorses Pearl/Adams, Sabian Cymbals, Innovative Percussion, and Sibelius Products.